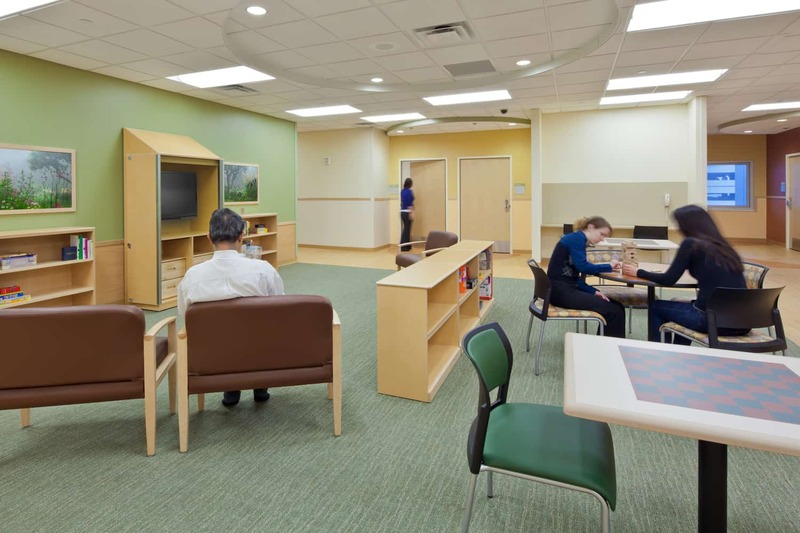 An eight-story building providing 100 private patient rooms, Regions Hospital Inpatient Mental Health Center improves the safety-net hospital’s ability to serve a large metropolitan area severely underserved by mental health services. 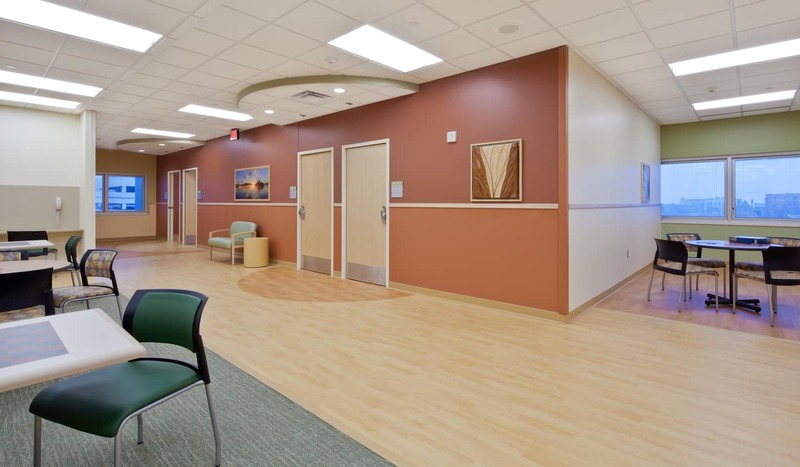 Designed specifically for adult mental health treatment, the goals for the new facility were to enhance a sense of dignity, privacy and calm in the patients’ treatment. 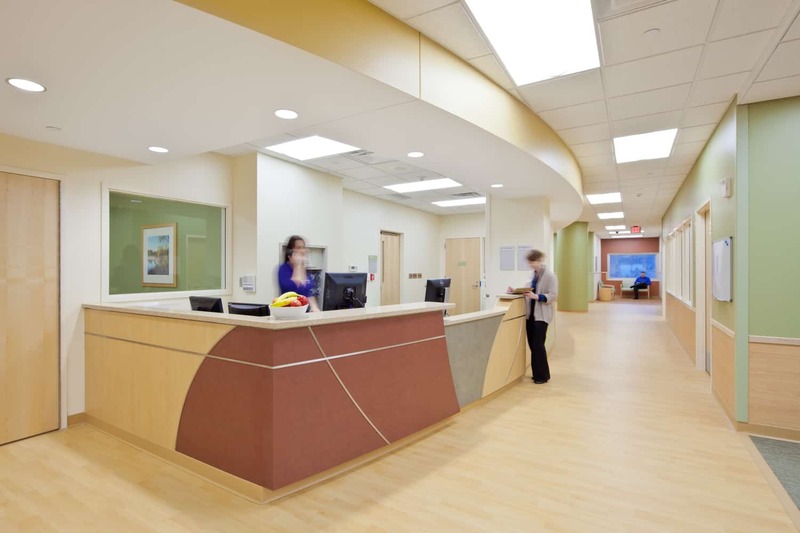 With a majority of the patients coming from the hospital’s neighboring emergency department, the patients are escorted through the first floor corridor for admissions. 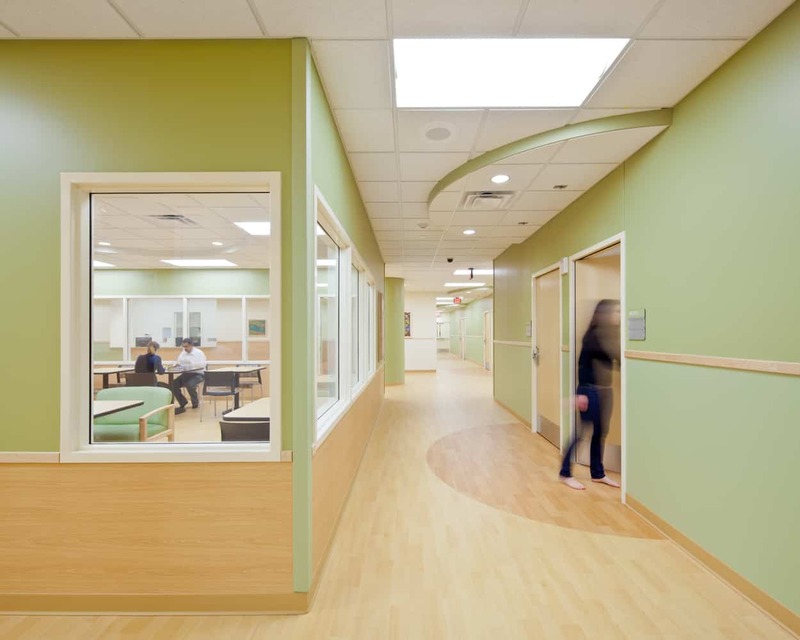 Natural light penetrates interior dining and dayroom areas, and floor patterns reinforce transitional zones between sleeping rooms and dayrooms, allowing patients to slowly ease from the safety of their private space to more social areas. 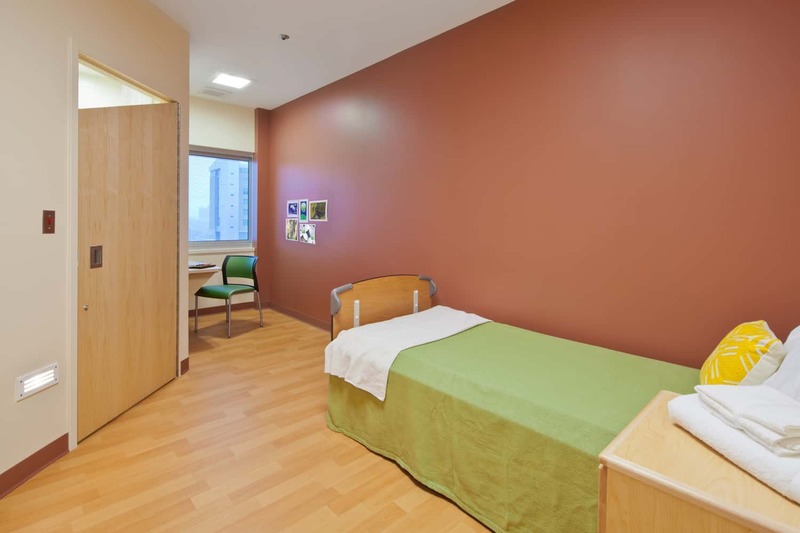 Break-out spaces provide a level of private seating areas for patients to meet with family and also break up patient rooms into groups of four, making nursing care delivery and supervision more efficient. 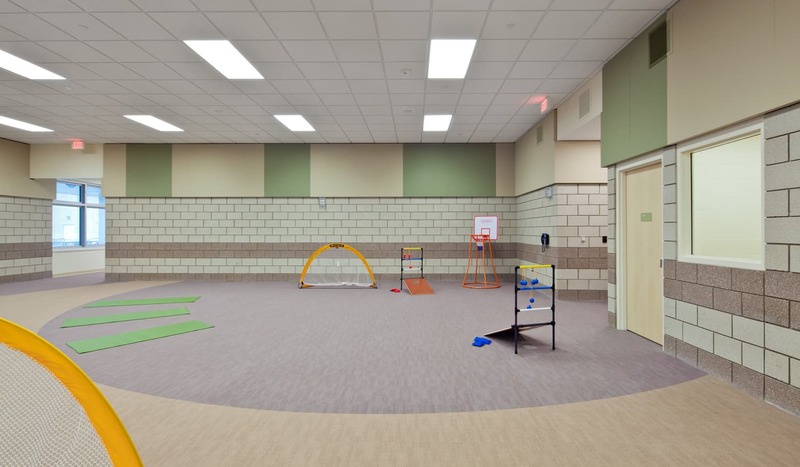 High ceilings and central dayrooms add an element of calm to the environment. 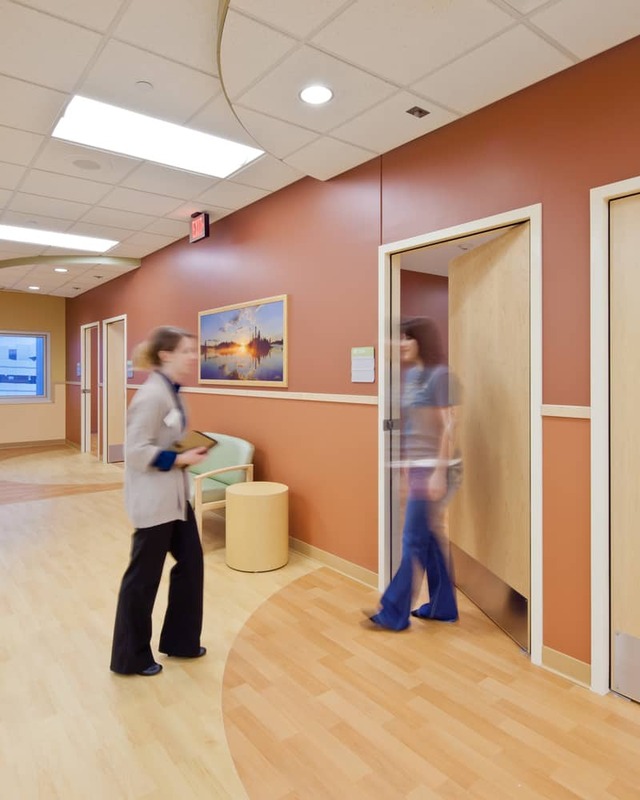 High security areas such as medicine rooms and system controls limit access with special locking functions.